When I first heard that scientists studied a real phenomenon called decision fatigue, bells went off in my head – “YES!” I thought. Validation! I know that when I get home I cannot make one more damn decision. Not one more. What’s for dinner? I don’t care – can someone else please decide? And I will agree to pretty much anything at that point as long as you don’t ask me to choose. Most of the decisions we make throughout the day are inherently unimportant: These pants or those? This errand first or that one? It isn’t that we don’t make important decisions – we just make so many little ones. And the act of decision-making, no matter how small, contributes to decision fatigue. mental price. And unlike physical fatigue—which we are consciously aware of—decision fatigue often happens without us even knowing. Decision fatigue and “willpower” are closely linked. Dr. Roy F. Baumeister, a Social Psychologist who studies self-control and decision-making, did a study in 1998 based on the idea that people have limited mental resources and that these resources are depleted with use. Baumeister was especially interested in willpower. In his seminal ego-depletion study, he found that participants who had recently resisted freshly baked cookies were less able to persevere through a puzzle than their peers. They literally put a plate of freshly baked cookies in front of people for a certain amount of time (they told them not to eat the cookies because they were for a different experiment) and then had the subjects attempt challenging puzzles. Then they compared the results against the results of people who had waited in a room with no cookies. The group with no cookies were more able to complete tasks successfully than the group who had to resist temptation prior to the tests. ness – it’s decision fatigue. And not only is it messing with you, it’s affecting your ability to focus at work and more! Decision fatigue not only causes us to feel mentally exhausted but it also limits our ability to make good decisions. Ponder another scenario: you come home from a long day and you sort of had an idea of what you were going to make for dinner tonight but wait maybe you don’t have that one ingredient, although you could probably substitute this other ingredient that you maybe do have, or should you stop quickly at the store? – no, ok but wait how long would it take before it’s ready anyway and I’m pretty hungry… screw it let’s just order a pizza. Now decision fatigue is affecting our weight and our health, and something’s got to give. 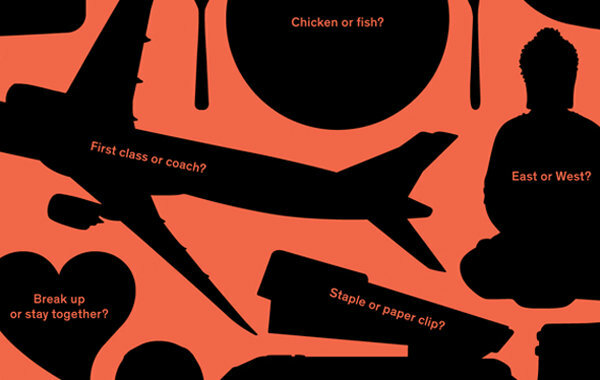 What can we do to fight decision fatigue? Experts have a few ideas, and the top two are 1) simplify or automate the choices you make throughout the day, and 2) make important decisions first thing in the morning while your brain is still fresh. Simplify the choices you need to make throughout the day. The most straightforward way to avoid decision fatigue is to make fewer unimportant decisions. Many successful men and women, for example, wear the same outfits each day. 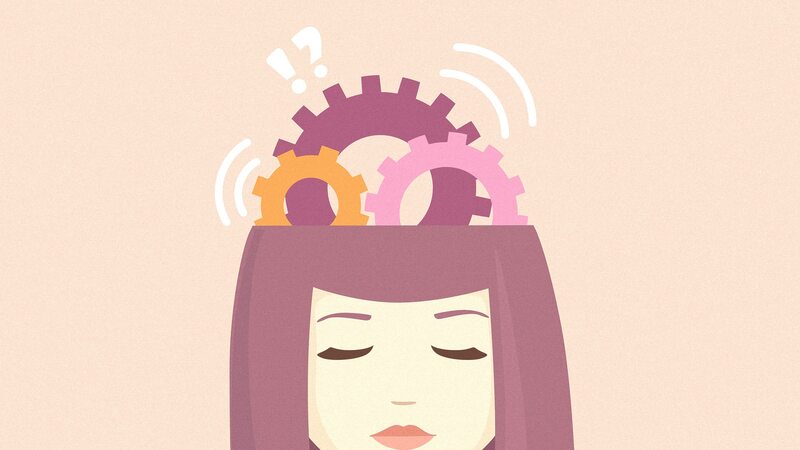 Eliminating or automating some decisions will help you save mental energy for other decisions. Think of Steve Jobs and his uniform of black turtleneck and jeans. The idea behind a limited wardrobe is simple: With so many important decisions throughout the day, why begin the fatigue over deciding what to wear? Even Tim Gunn (of Project Runway fame) said it’s ok to have your uniform. For others, simplifying might mean following a strict routine, or having a set weekly meal plan. By reducing the amount of decisions you make every day, you free up space for the ones that matter. Meal planning and prepping in advance can be a huge benefit in this area. If you take time to write out your plan for the week (bearing in mind that every meal does not have to be a high-end culinary experience), make the shopping list, and do a little prep work in advance (chop veggies etc.) you will take a ton of decision-making off the table for the rest of the week. Make the plan and commit to it. This is what we’re eating for the next four days, period. Buy pre-chopped veggies if it helps – there’s no shame in that game. If the thought of having to chop veggies after work puts you over the edge and sends you for take-out, then pre-chopped it is! It costs a little more to buy pre-chopped – but it does not cost as much as take-out (to your wallet or your waistline). Make important decisions in the morning. When possible, sleep on those decisions that pop up unexpectedly. A good decision one day later is usually better than a poor decision made right away. Schedule your most important things for early in the day—whether that’s getting a hard work task done, or dealing with something you’ve been putting off. Rather than being susceptible to your changing energy levels, lock in key decisions when your energy is highest. Meal planning, for example, is probably best done on a weekend morning where you’re rested and have a little time. Feet up, coffee poured, cat in lap. That’s how I roll. But you do you.